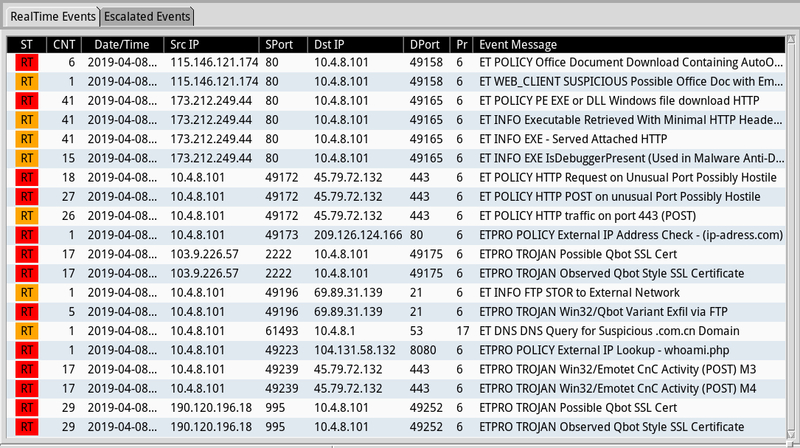 Shown above: Some alerts from Sguil in Security Onion using Suricata and the EmergingThreats Pro (ETPRO) ruleset. 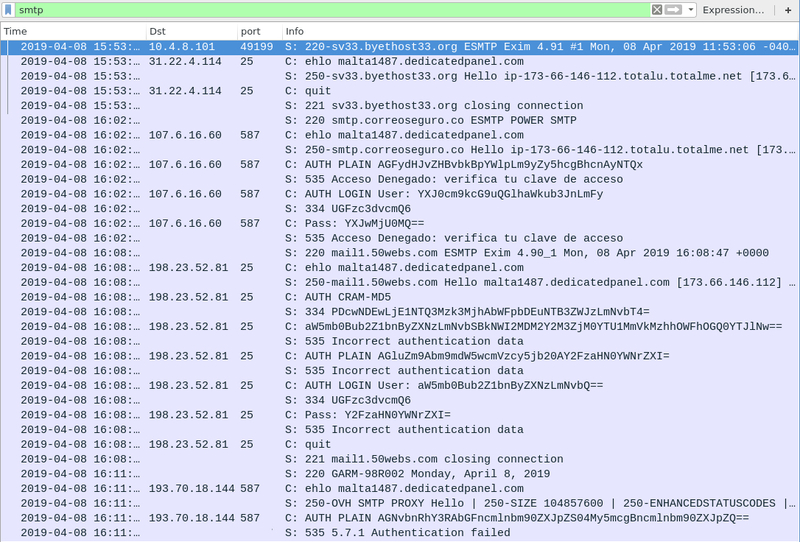 Shown above: FTP traffic from the infection caused by Qakbot. Shown above: Email traffic from this infection, possibly caused by Qakbot. 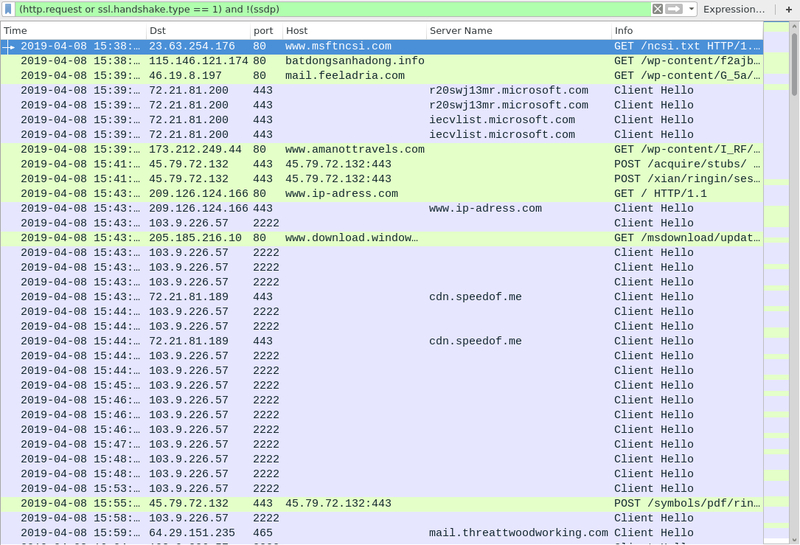 Shown above: Another look at email traffic from this infection, possibly caused by Qakbot. 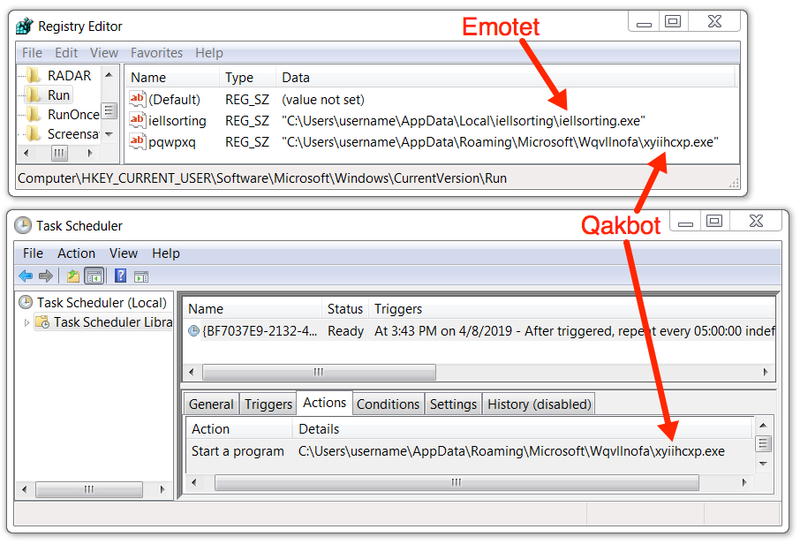 Shown above: Emotet and Qakbot made persistent on the infected Windows host. 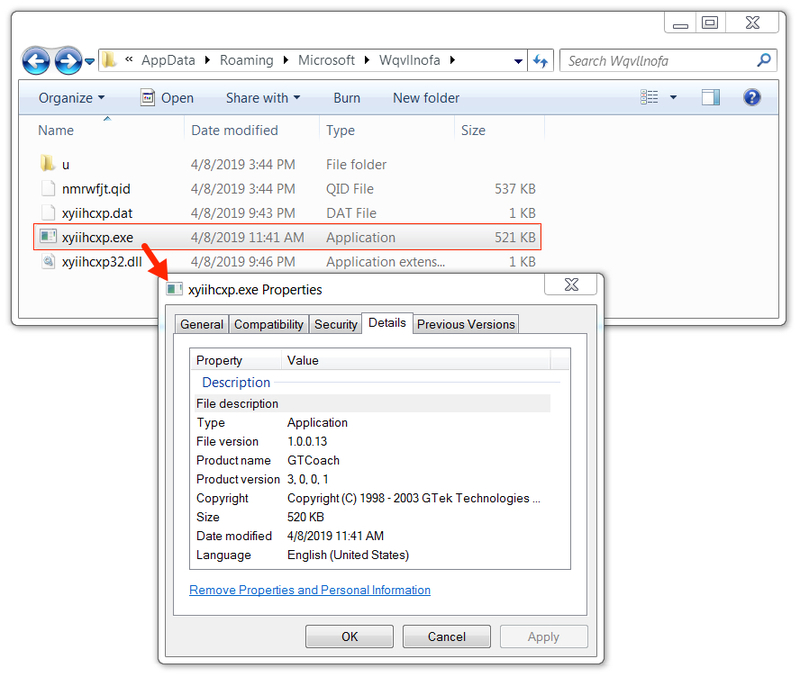 Shown above: Qakbot malware from the infected Windows host.